Your next Taco Tuesday, sorted! 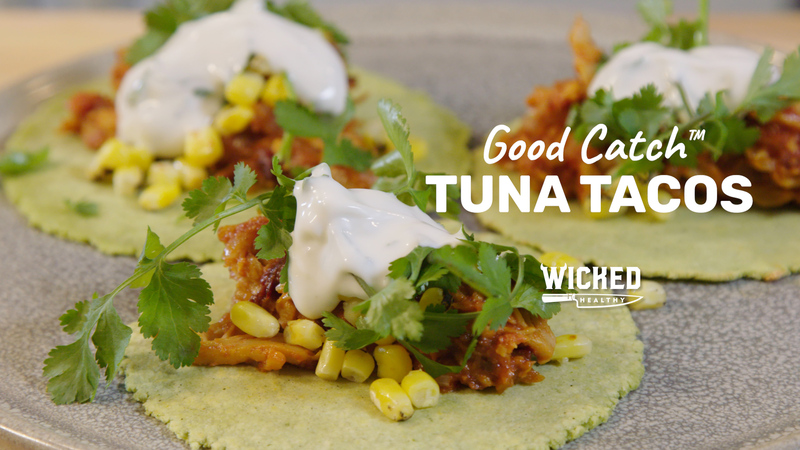 Good Catch Tuna Tacos, with our plant-based cilantro-lime yogurt sauce, makes the perfect #freefromanimals taco! Visit Good Catch for more info and visit Thrive Market or Whole Foods (can be found in the canned tuna/seafood section) to purchase. In a medium-sized prep bowl, combine the chopped chipotle, tomato paste, water, seal salt and olive oil. Preheat a medium-sized cast iron pan over medium heat. Drizzle with just a touch of oil and add the chopped onion. Saute until slightly softened and translucent. Add in the Good Catch™ Fish-Free Tuna, stirring for a moment followed by the chipotle sauce, stirring gently to combine. Bring to heat, making sure the sauce does not burn. Remove from heat after about 3 minutes. Optional step for the corn: Distribute the corn in an even layer on a flat plate. Using a butane torch, char the corn. To make the plant-based cilantro-lime yogurt sauce, combine all ingredients, and stir gently to combine. 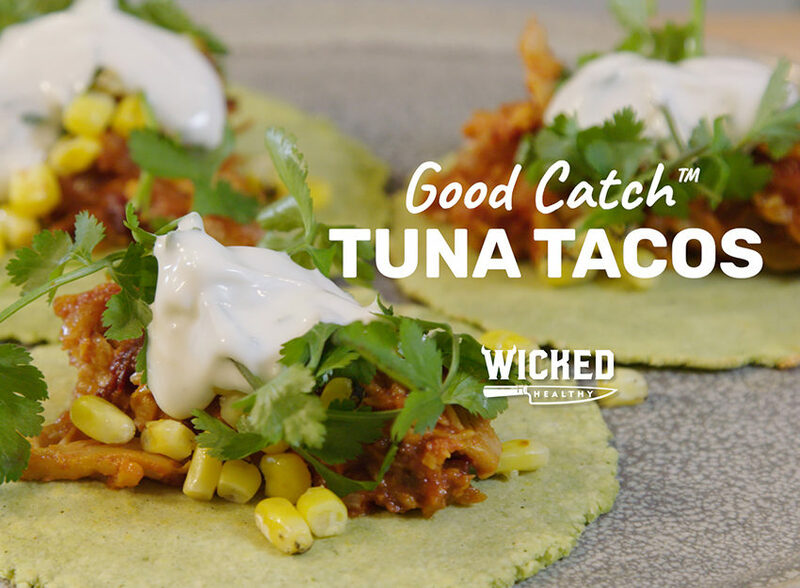 To serve, spoon the sauced Good Catch™ Fish-Free Tuna over tortillas. Top with the charred corn, fresh cilantro and yogurt sauce and serve immediately.